There are two bathroom and shower buildings, one on RV side of campground and one on cabin side of campground. Cabins are rented min 2 nights. Bedding is not included in cabin rental. Bedding Rental is available for a $35 charge. Firewood for cabin wood stove included. Diesel generator power supply which is run for 5 hours from dusk. Generators are welcomed. Inverter (quiet) generators have no restrictions. Please inquire about seasonal cabin rentals. 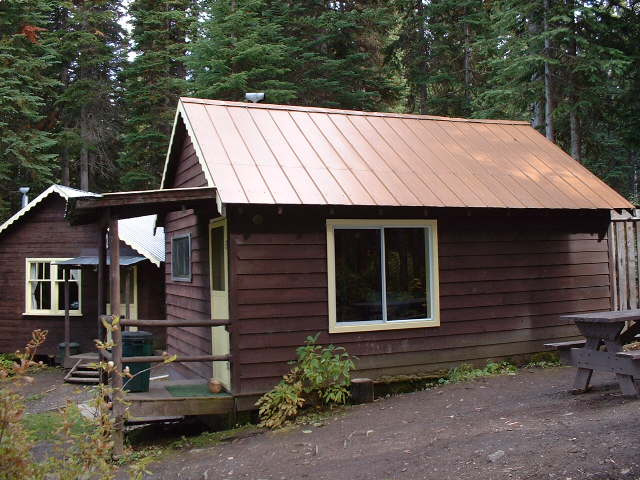 sleeps 4, wood stove, running water and all cutlery/dishes/pots & pans etc.